Have you ever gotten to experience a carefully-selected whiff of toxic air? That’s what the United Nations has in store for you in Geneva, in a new art exhibit, where people can take a bitter-sweet smell at some of the world’s most clogged-up cities. Visitors are taken through a series of interconnected pods, each of which contains an often smelly – but safe – chemical cocktail, simulating air pollution levels in big cities like Sao Paolo and New Delhi. The goal of course is to give a sense of how widespread pollution is in urban areas. The installation coincides with a major international conference by the World Health Organization (WHO) to tackle the problem. 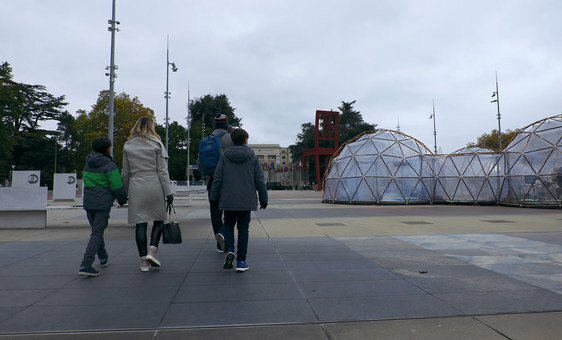 It’s called “Pollution Pods”, and, the creator, British artist Michael Pinsky, took UN News’s Daniel Johnson, on a swift sensory tour. 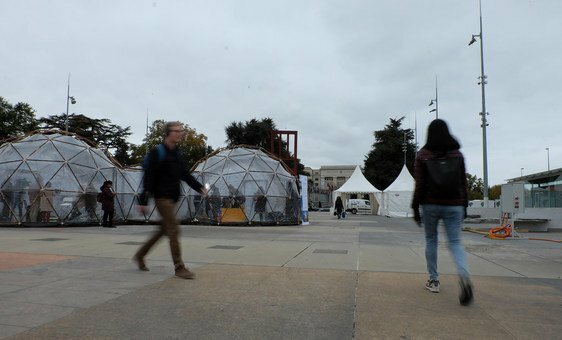 The Pollution Pods in the Palais des Nations in Geneva. Each pod contains a safe chemical cocktail that simulates air pollution levels in cities around the world.